In a recent twitter chat about Mexico, I described the country as being full of magic. 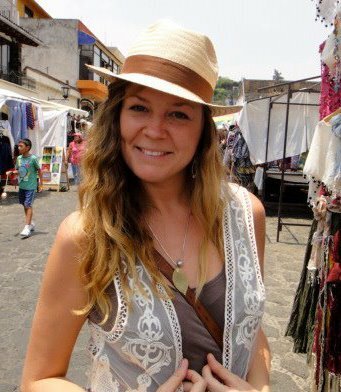 I had a friend staying with me in Oaxaca who said ‘there is just something about this place, it is magical’ and I couldn’t agree more. It is no surprise to me that magical realism literature seems to pour from the veins of Mexican writers and that other writers like the recently passed Gabriel Garcia Marquez were drawn to Mexico, when even the most day to day activities can be filled with magic. I think a blog about the magic could be coming soon. 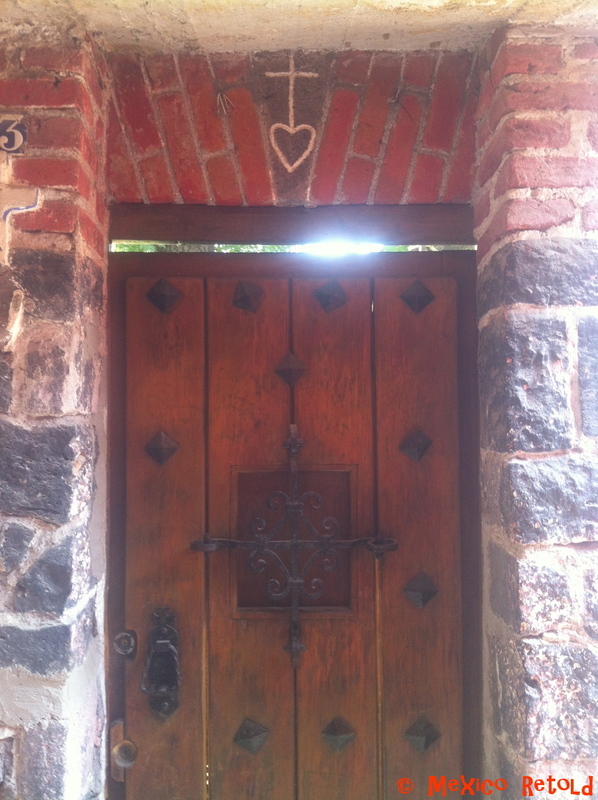 Another thing I said about Mexico in the same twitter chat is that the country is all about heart. 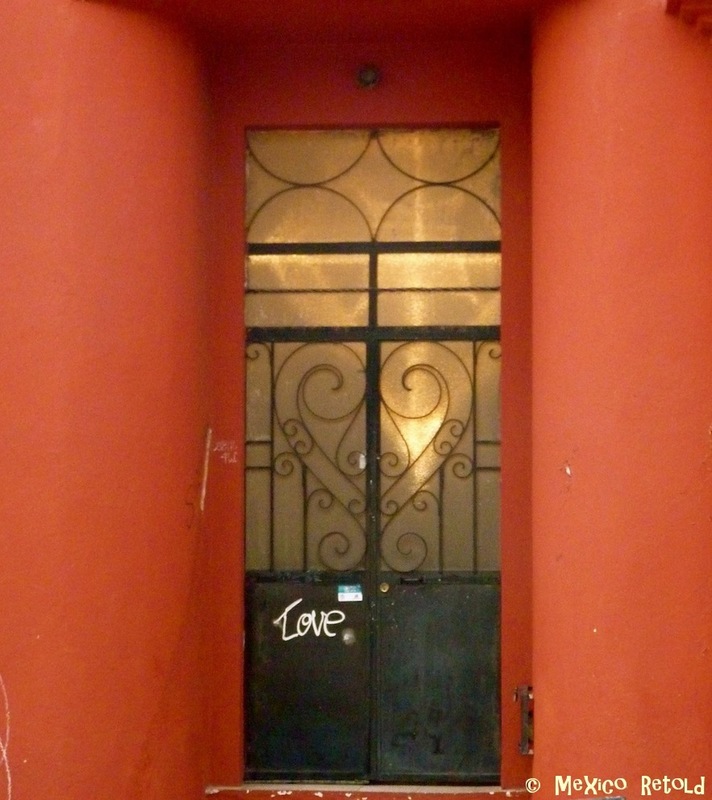 I feel that many people in Mexico are driven more strongly by their heart than their head. 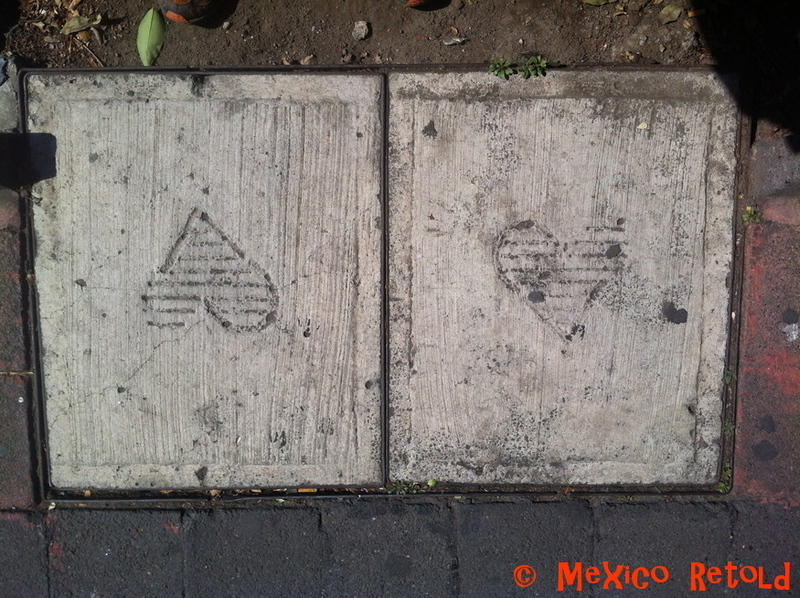 Every love song in Mexico seems to include the word corazon (heart) at least once. 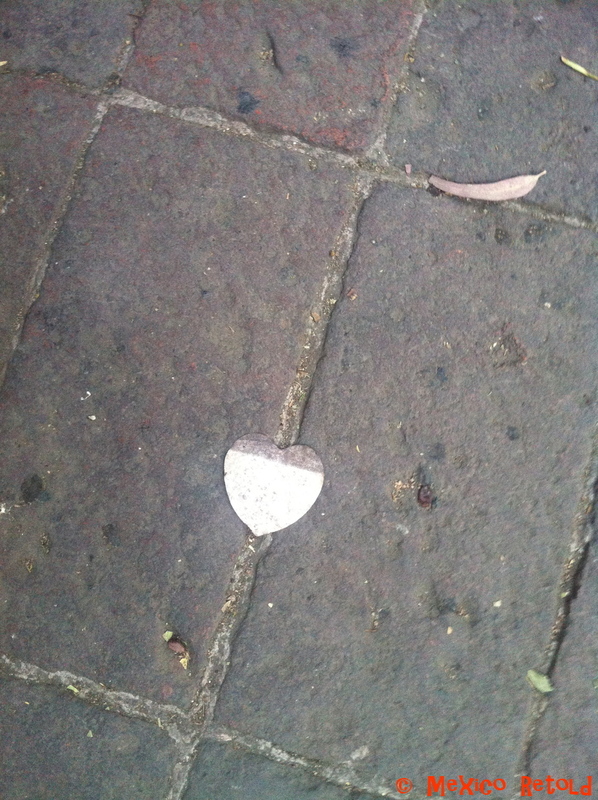 Perhaps I am the one being the romantic but I see hearts and expressions of love everywhere. 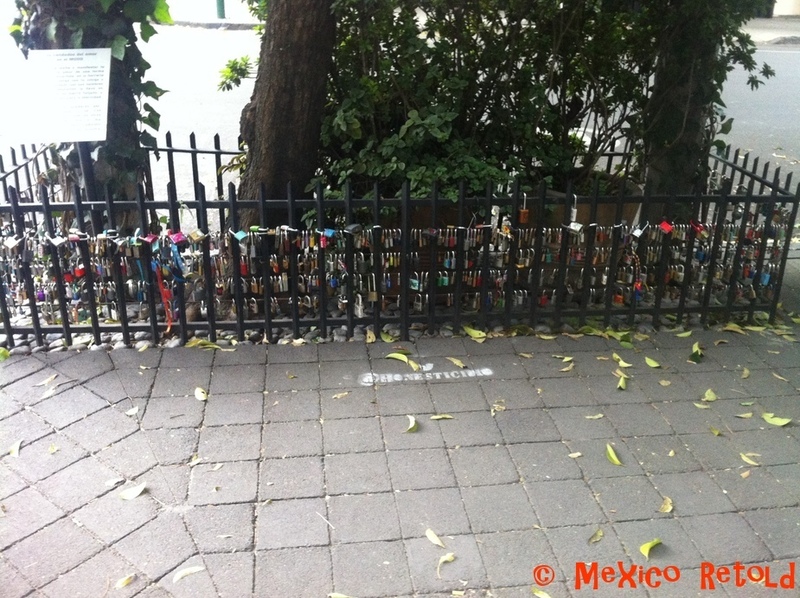 Just the other day, walking through the Colonia Roma in Mexico City, I came across these locks of love outside the MODO museum (El Museo del Objeto del Objeto- Yep, the museum of the Object of the Object). 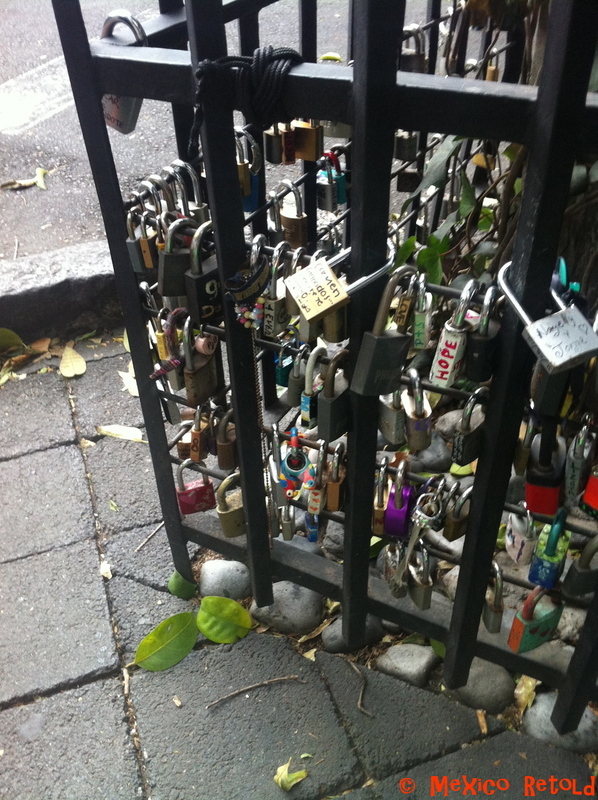 The idea is to bring a padlock that represents the love between you and a friend, partner, family member and lock it to the little fence. 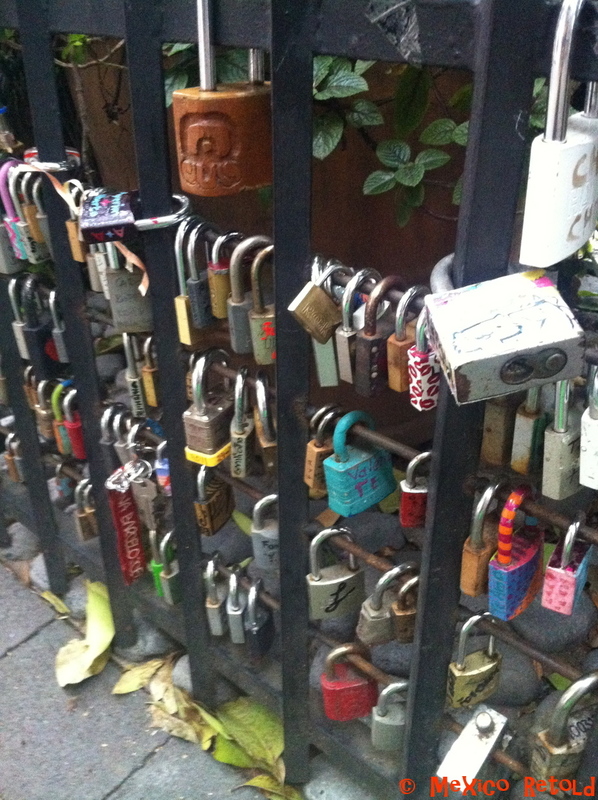 You then deposit the key in the iron box outside the museum and your love is sealed for eternity. Call me a romantic, but I think it is lovely. Less organised expressions of love can be found all over the place too. Here are just a couple of examples. Mexican people are very warm hearted. Appropriate imagery then.